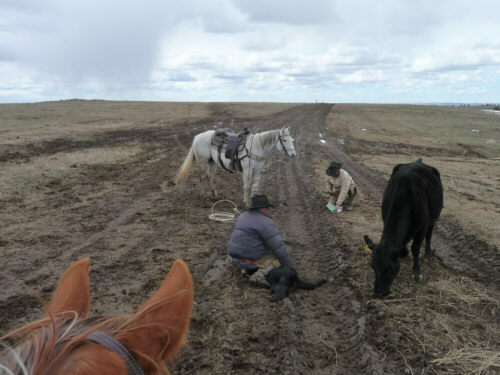 April 7, 2010 - Luca and Martin found a new born calf Rope out and caught! 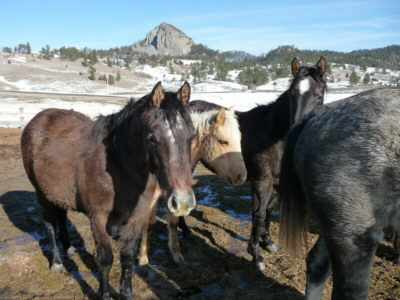 New born calfes get earmarks and a vaccination. 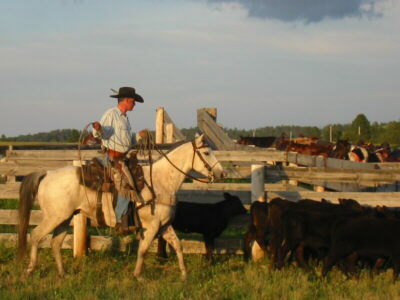 Mac and Brownie wait until the work with a calf is done. 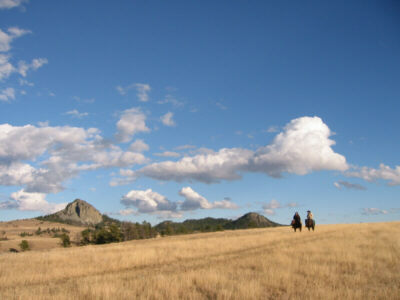 Hopefully - the way back to the ranch on foot is long! 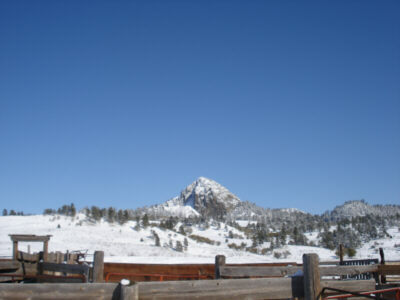 January 2010: After a VERY White Christmas (4 feet of snow in two days) the ranch is buried under snow. 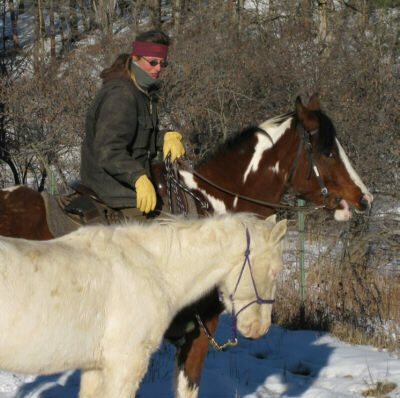 Cowboy Tye is pushing snow around to feed the cows and horses - they are doing great with plenty of hay. 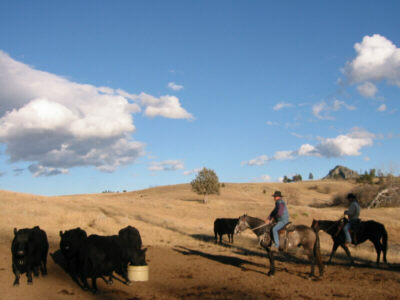 There is nothing to do at the ranch but feed the animals everyday - a chore that takes a few hours each day. 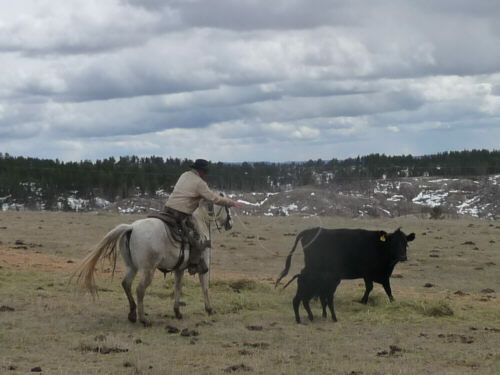 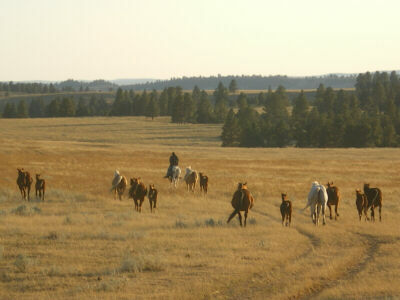 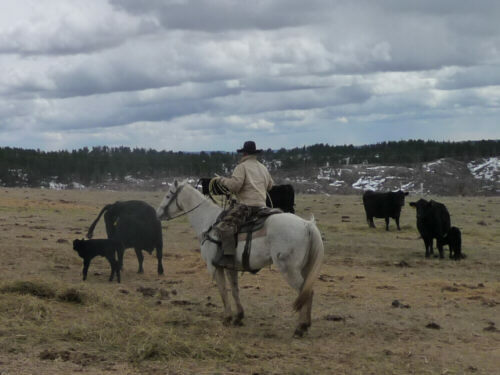 When calving season starts in March/April the cowboys and ranchers will be out and about for 14 to 16 hours every day. 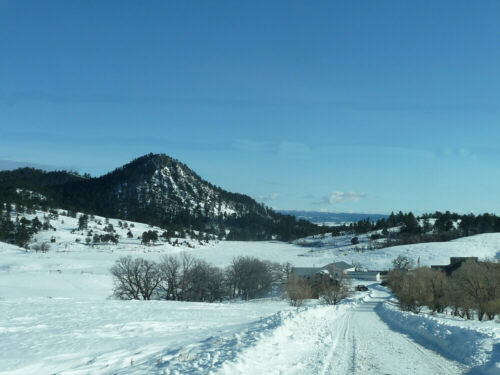 January 2010 - View on the ranch coming down the last hill - the lake is buried under snow and ice. 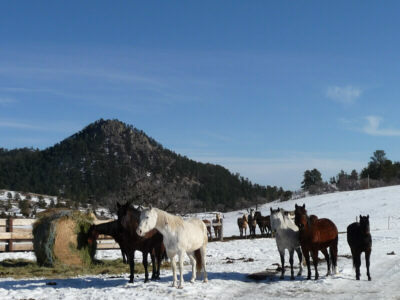 Most horses are in a big pasture away from the ranch where Tye brings them hay with the tractor. 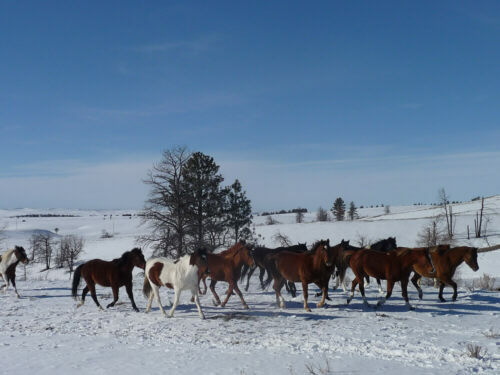 These are the riding horses for the winter and some two-year olds which get some extra feed every day. 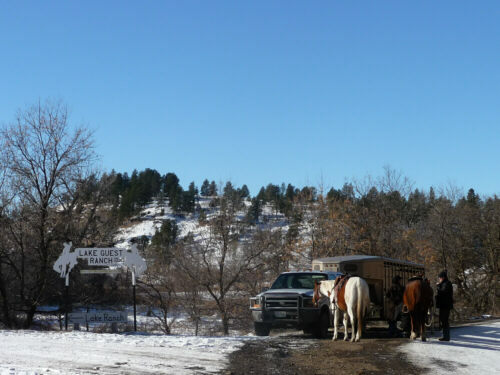 December 2009 - I had to go up to the ranch to pick up a horse. 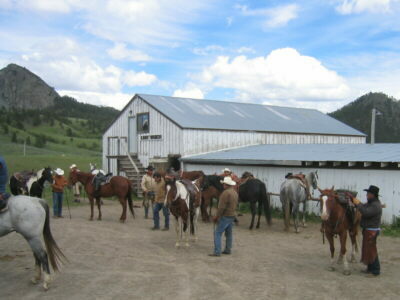 Since the road was too bad I parked my trailer on the bottom of the hill and rode up to the ranch. 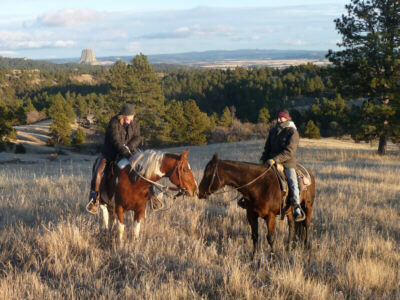 Some friends joined me on this beautiful sunny day. .
December 2009 - My neighbor Nick with ranchhand Tanja in front of the butte. 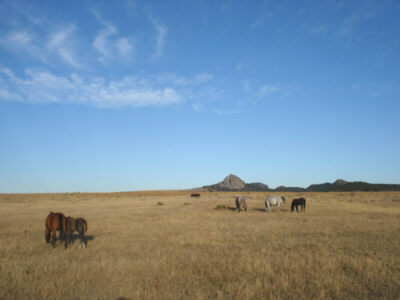 November 2009 - Curious broodmares and some pretty paint horses. 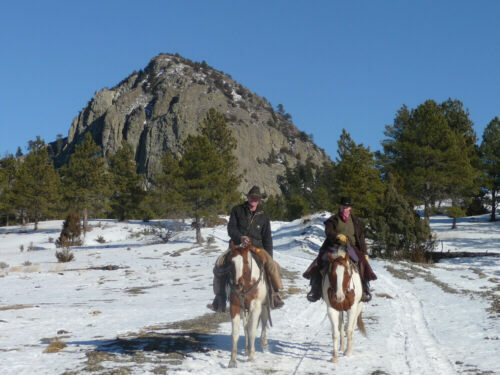 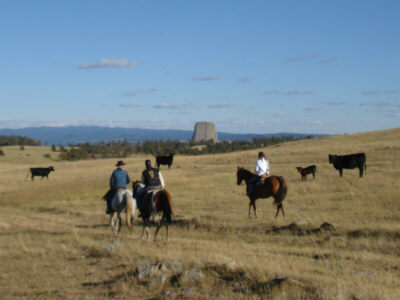 November 2009 - Finally: a real tourist pictures of me (right) with Devils Tower in the background. 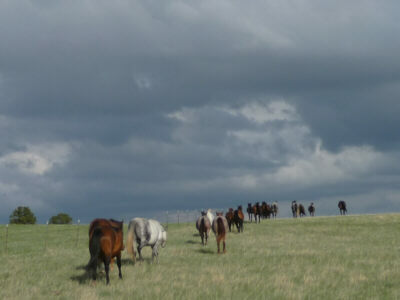 November 2009 - The riding horses for the winter on a pasture close to the ranch November 2009 - The bigger part of the horse herd are in a bigger pasture farer away on vacation - lucky them! 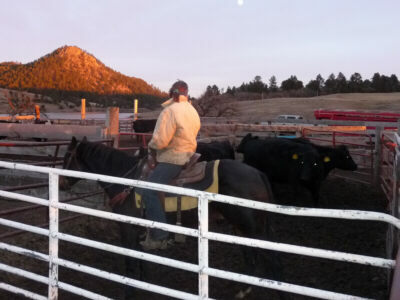 November 2009 - preg-check-day: moving cows down the aile November 2009 - preg-check-day: move cows to the corrals, Luca with Seabiscuit. 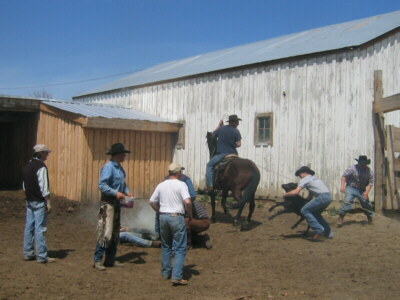 October 2009 - Finally: our second branding season at a neighbors ranch starts October 2009 - guest Jabel wrestles them all - no calf is too big for her! 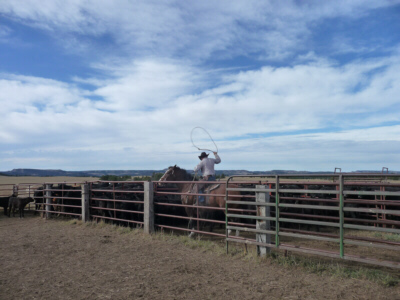 October 2009 - Luca and a neighbor cowboy rope the calves October 2009 - big skys! 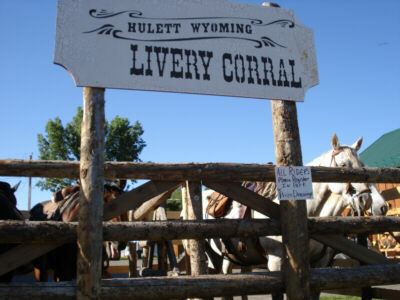 June 2009 - Hulett Rodeo: also a pick-up-horse has to do some business June 2009 - Hulett Rodeo: ride'm, Cowboy! 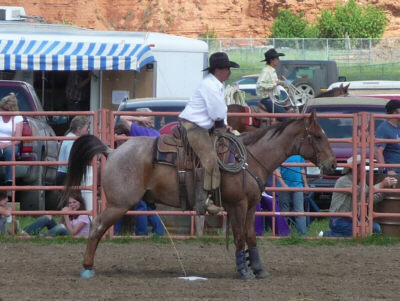 June 2009 - Hulett Rodeo: Bucking horses in their pen before he action. 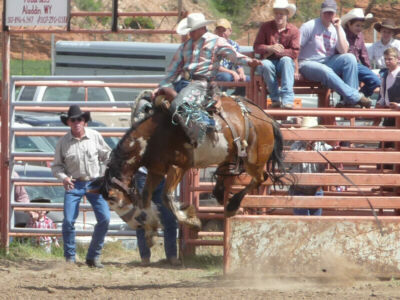 June 2009 - Hulett Rodeo: ... and after the action. 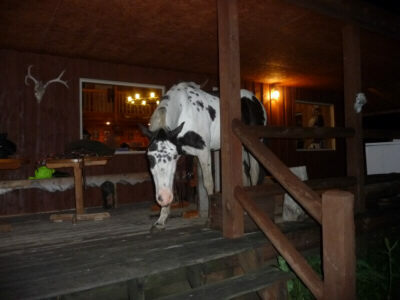 June 09 - Dice on the porch - not his fault, a guest lured him up the stairs with some treats. 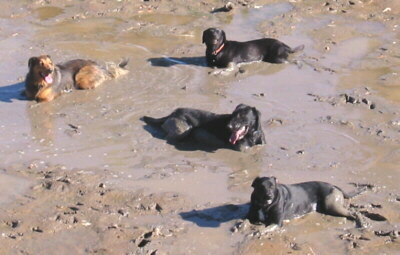 June 2009 - Luca doesn't think that this is funny and sends Dice off the porch. 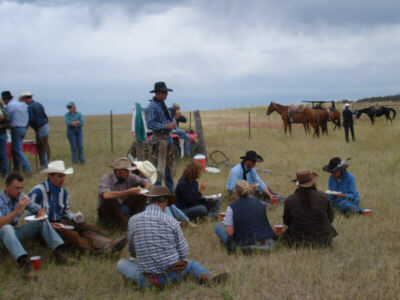 May 2009 - Picnic in Oshoto where the ranch runs 90 heifers which need to be checked once in a while. 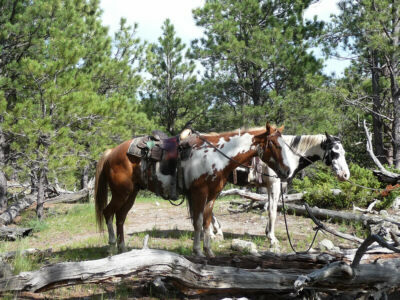 It's a long ride over there but there is always some good food waiting underneath the trees. 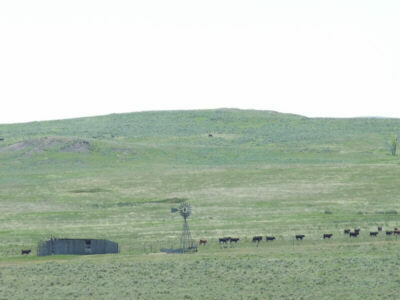 May 2009 - The view from the picnic spot - windbrake, windmill, prairie and, of course, cattle. 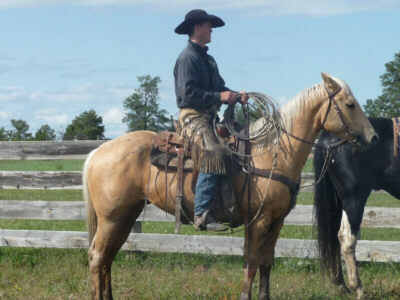 March 2009 - Tye and Spike get ready to go check the cows. 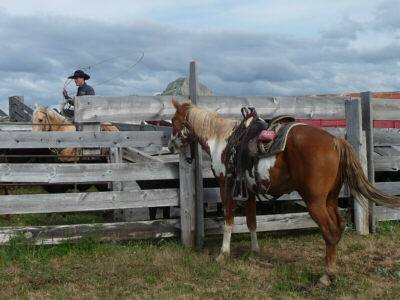 May 2009 - still checking ... ;-) Time flies by when you're having fun! 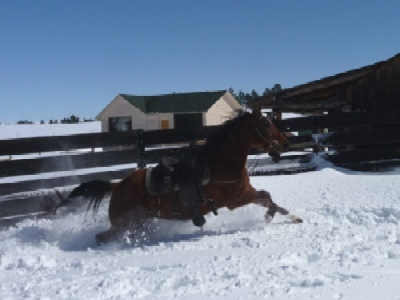 March 2009 - A little bit snow is no reason to close school. 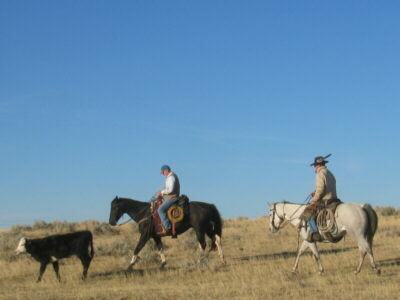 March 2009 - Dice, Mac and Quick on vacation - the lucky ones! 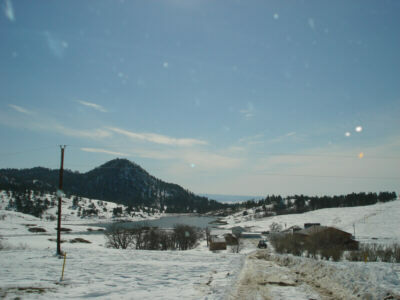 February 10, 2009 - A view over the lake - hidden underneath snow and ice. 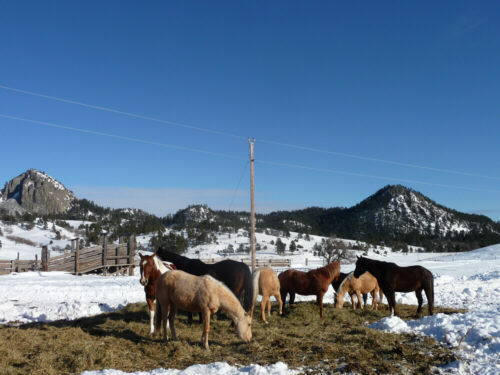 February 6, 2009 - A visit at the Lake Ranch with winter panorama - this makes you look forward to the beginning of the season! 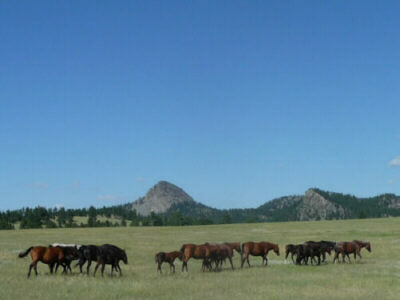 February 6, 2009 - Dirty but healthy - the yearlings of the Lake Ranch. 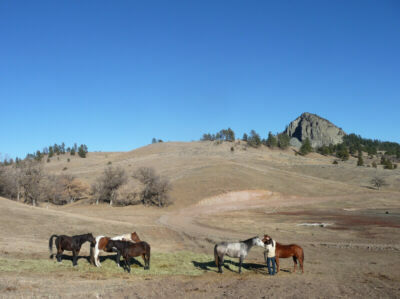 February 6, 2009 - Tyes horses and a some older or younger horses get some extra care. 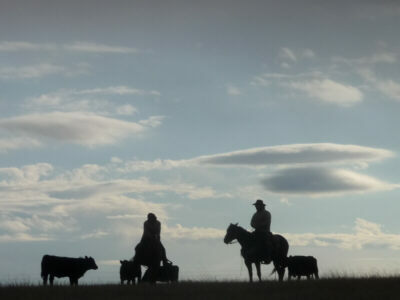 December 1, 2008 - Brandy and Tye sort cows ad mark down the ear tag numbers. 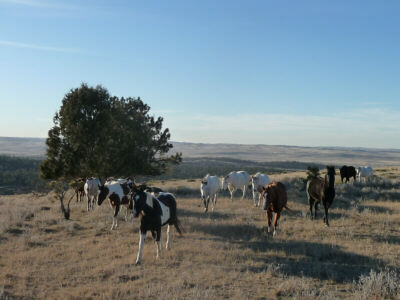 Some cows lost their eartags and Tye re-tags them. 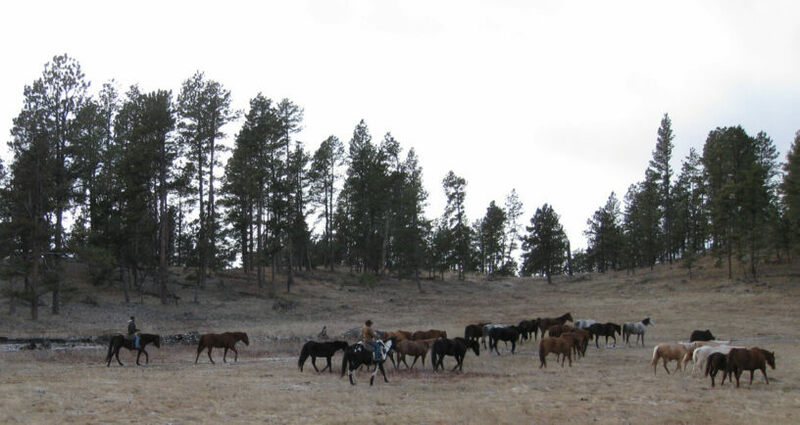 November 25, 2008 - Some of Frosty's mares on pasture. 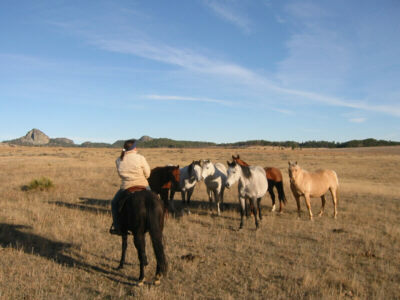 November 25, 2008 - Brandy checking on the mares. 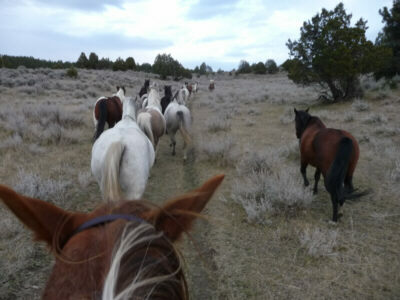 This wide open space .... Bianca and Brandy on theri way to check the cows. 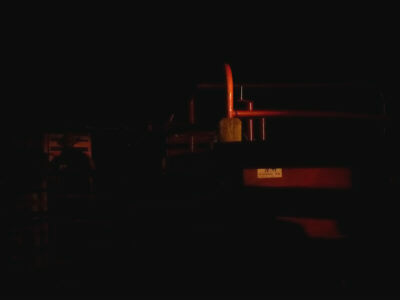 checking cows. 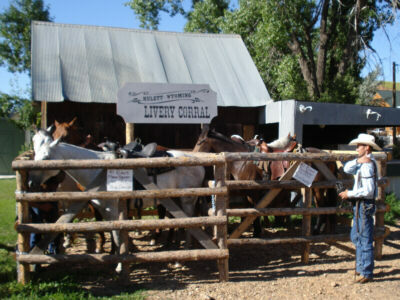 November 3, 2008 - Luca and Brandy check if the cows have enough minerals left in their lick barrels. 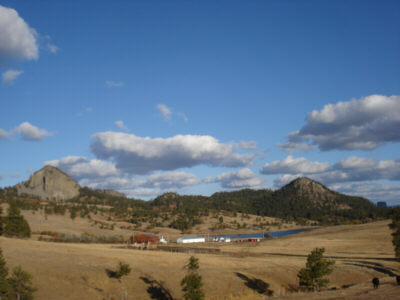 Big Skys - the Lake Ranch in late fall. 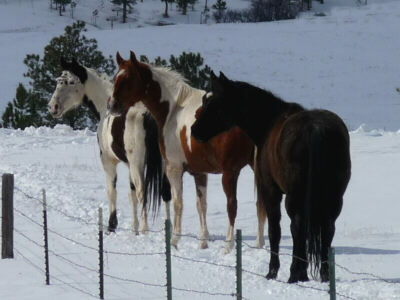 October 08 - some of Frosty's mares on their winter pasture. 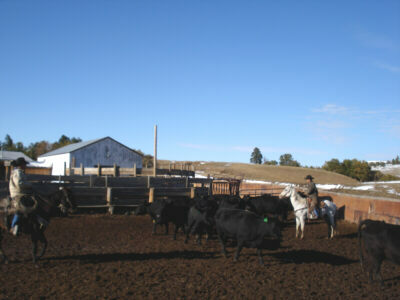 October 13, 2008 - pregnancy check for the cows at the Lake Ranch after the first snow this season. 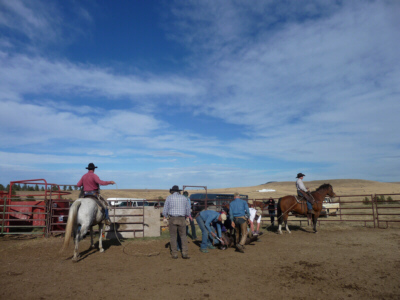 Luca and Tye try to sort a "fence jumper" of the other cows. 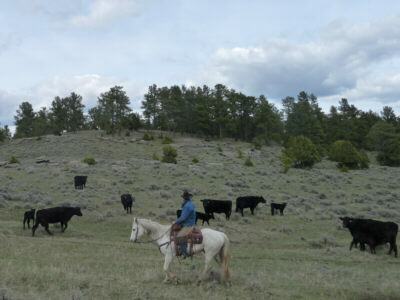 We had quite a few cows with a bad attitude this day. 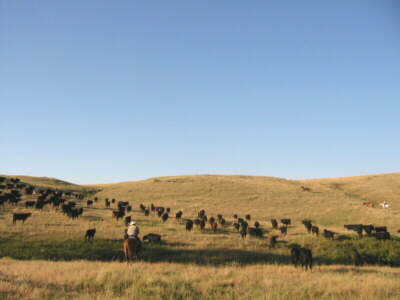 September 22, 2008 - Branding at a neighbor who calves his cows in August and September. 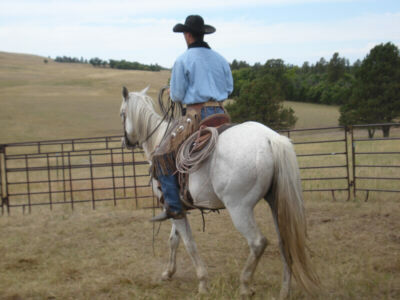 Tye with his grey horse roping. 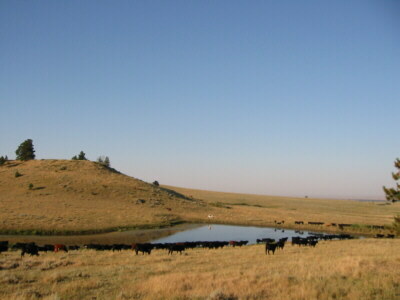 August 9, 2008 - just enjoying the landscape. 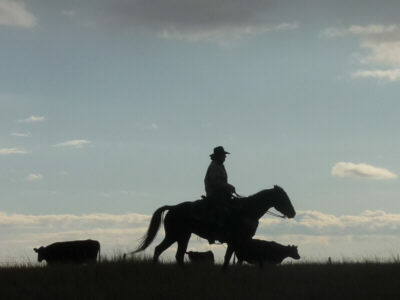 Pictures can not catch this wide open country! 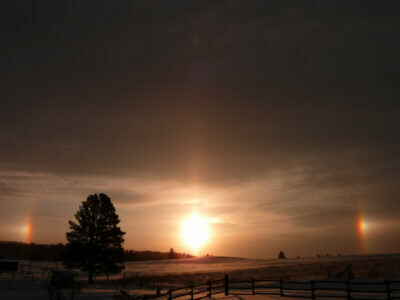 May 2008 - Even though we are used to some strange weather in Wyoming - this late snow was also for us surprising. 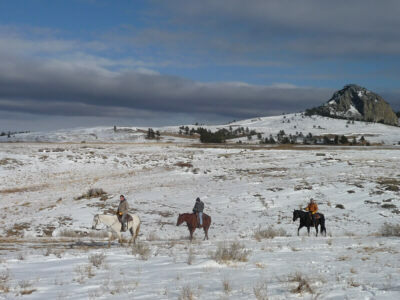 However, we used the couple of days with snowmobiling and rides in the snow. 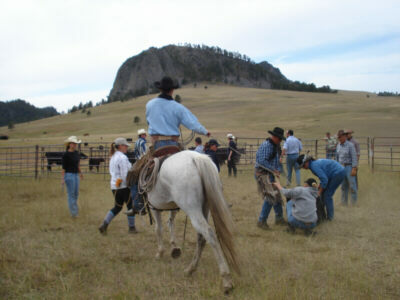 April 30, 2008 Branding at the Lake Ranch. 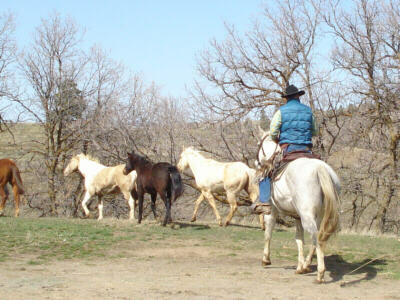 We have several brandings in Mai/June and again September/October. 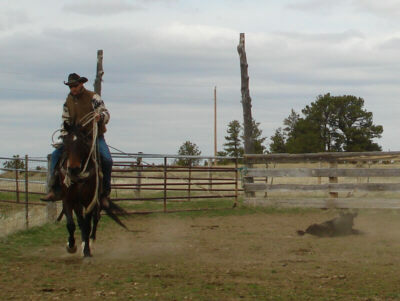 Here Max on his bay horse "Chili" roping a calf. 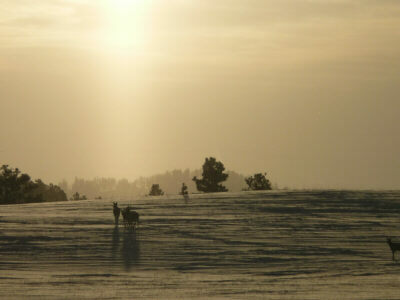 April 15, 2008 - Middle of April - the season has just startet. 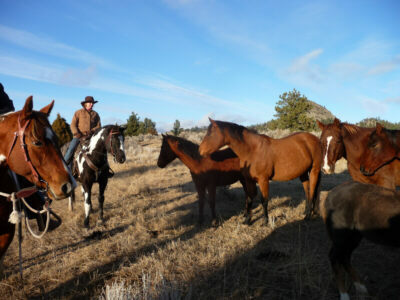 The horses are all over the ranch and Here is Luca sorting some of them off. 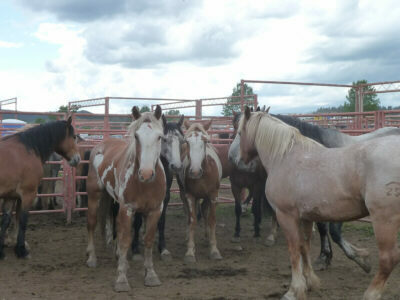 It will take a few days until we have the breeding stock and work horses sorted! 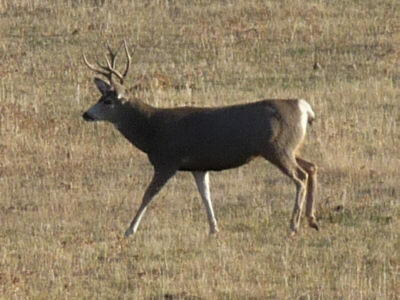 Late brandings are going on since one of our neighbors is a fall calver. 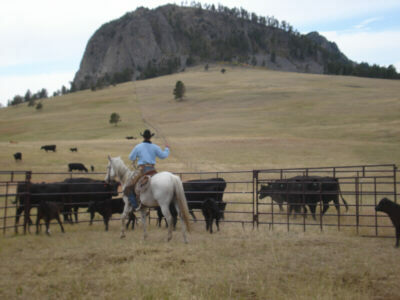 We brand calves in Mai/June and again in September/October. 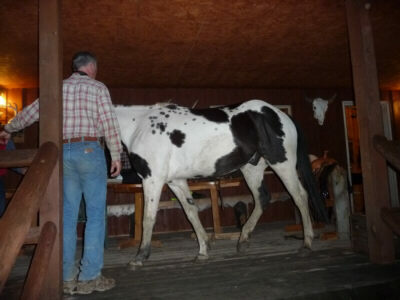 Shippingday at the Lake Ranch. 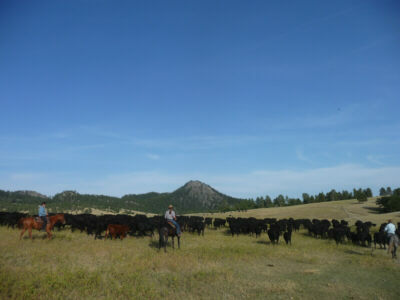 430 yearling heifers spend the summer at the ranch before they are shipped to feedlots in Colorado. 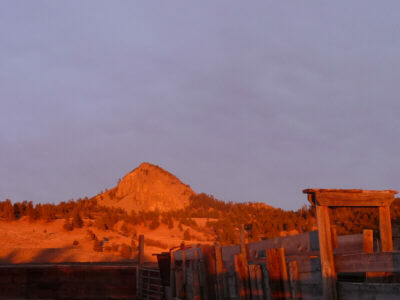 The Little Missouri Butte. 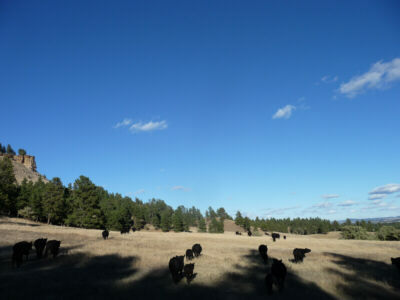 In a few weeks this view will be completed with dozens of baby calves. 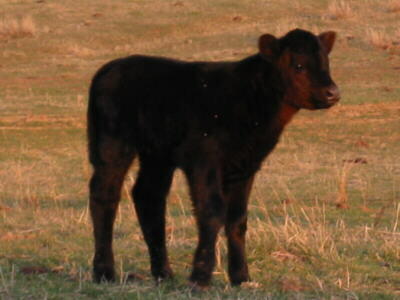 Lake Ranch calf #3. 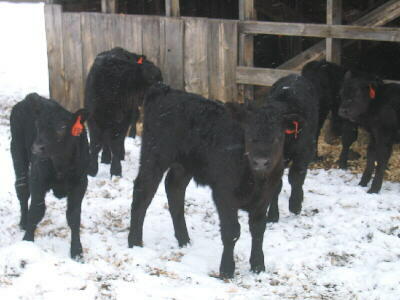 The heifers are almost done with calving, six weeks earlier than the older cows. 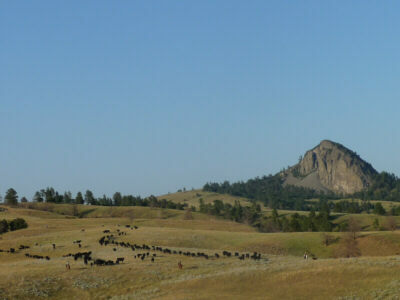 They just started to drop their babies and will be calving until end of May. 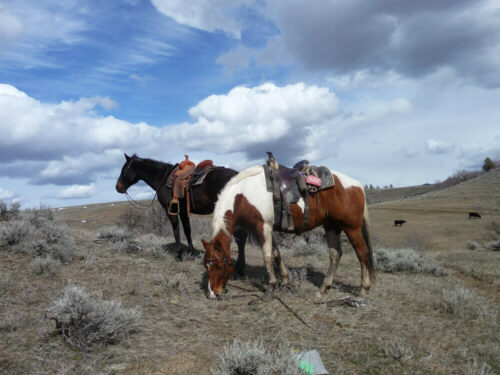 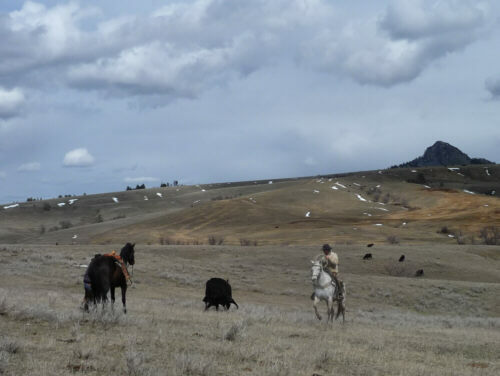 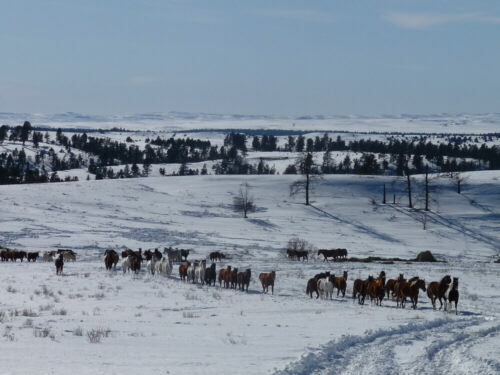 But we can not complain - most part of the calving season was very mild weather, sun and temperatures up to 70 degrees - this is great spring weather for Wyoming! 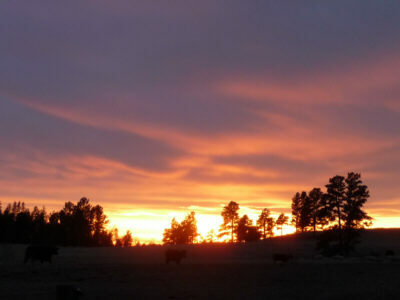 April 2007: Looks like we have some Spring coming. 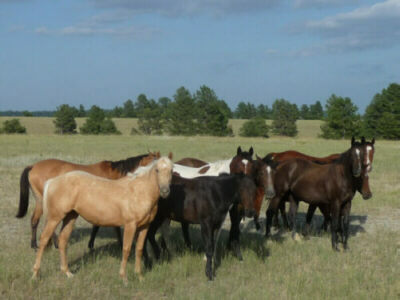 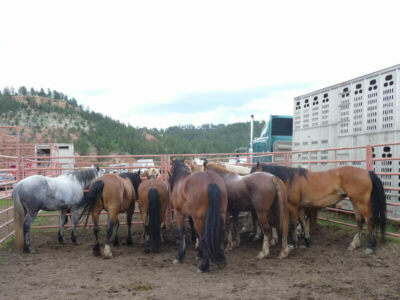 The new mare band - another 30 mares add on to the already existing horse herd on the ranch. 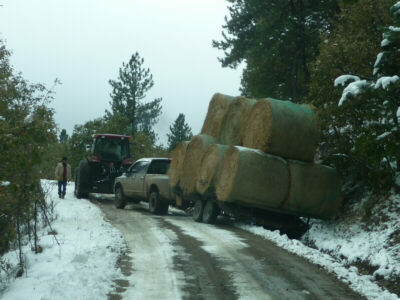 I'm not sure what the actual count is - more than a 100, that's a given. 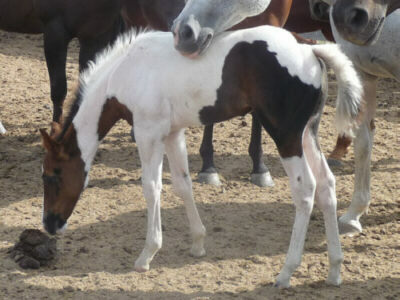 And at least 30 oft them will have foals next spring - something to look forward to! 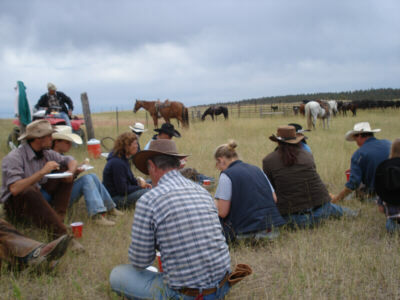 Cutting Clinic at the Lake Ranch. 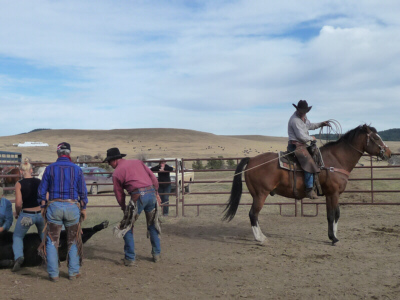 A trainer from Nebraska came with three great cutting horses and tried to teach us something. 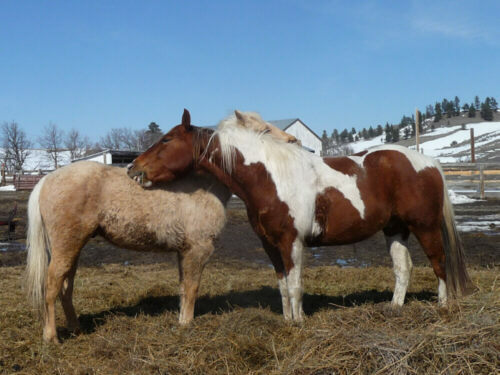 Paint "Dice" makes friend with an abandoned calf. 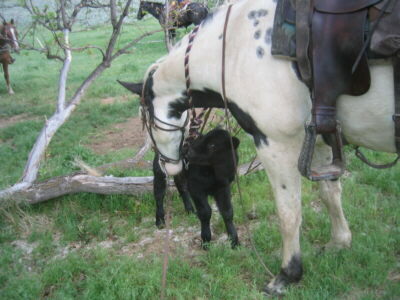 The calf was so lonesome, he was very willing to accept my horse as his new mom. 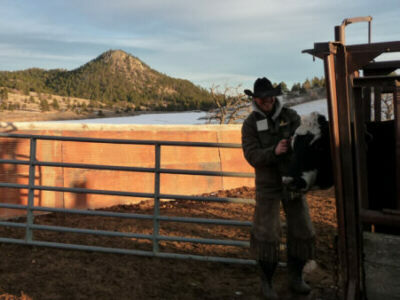 Unfortunately Dice lacks on a good source of milk so we came back later with a pickup to bring the calf to the ranch and bottle feed it. 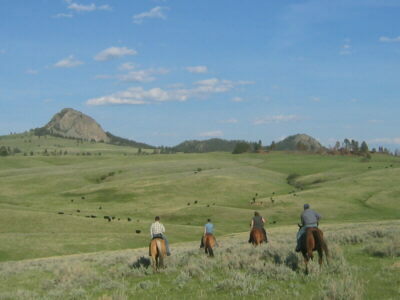 Wide open country. 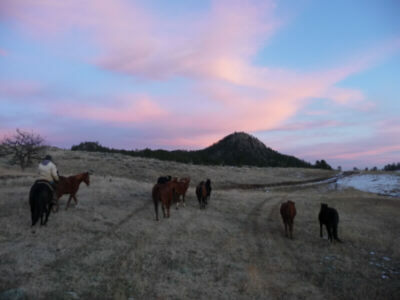 Cowboys on their way through the so called "Winter Pasture", a place not too far away from the ranch buildings where the cows usually get their calves. 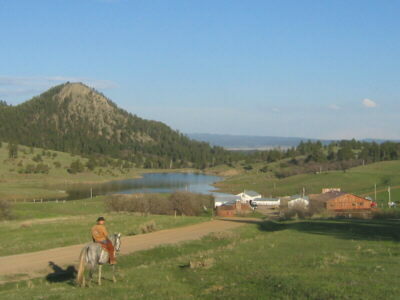 Coming home to the Ranch - the buildings are nestled in a little valley beside one of the very few natural lakes in the Black Hills. 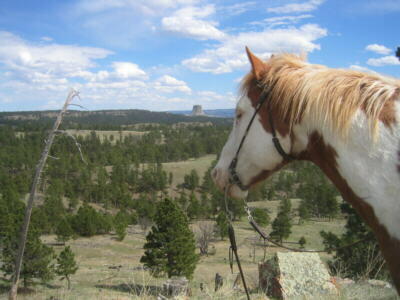 I think I took a hundred pictures from this place with this beautiful view over a valley to Devils Tower. 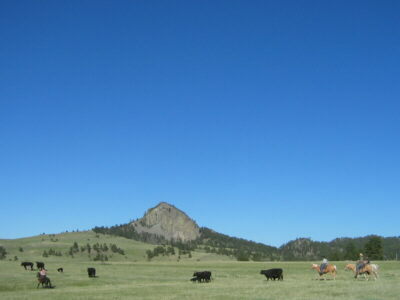 You have to see this yourself, though - this wide open country can not be captured by a camera. 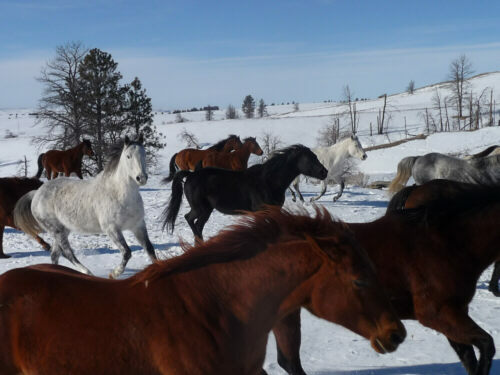 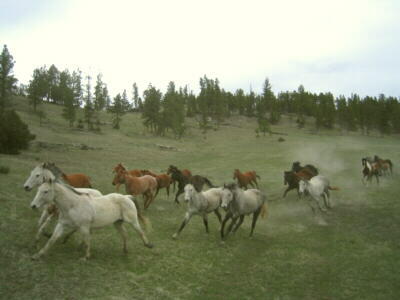 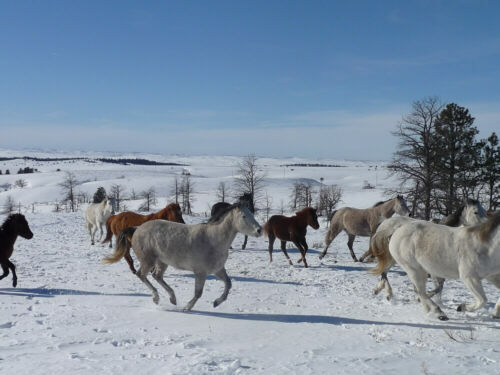 The horses run free in huge pastures until the season begins end of April. 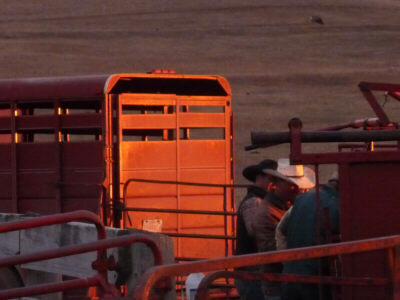 The evening before shipping day - rounding up the calves for the sale. 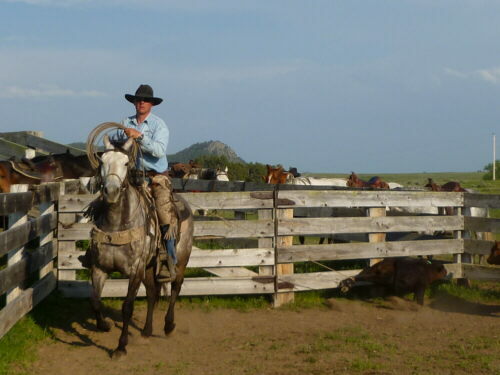 Larry, a friend from Rapid City, on the great paint gelding "Midnight Bullet", and Rancher Luca on his mare "Gracie". 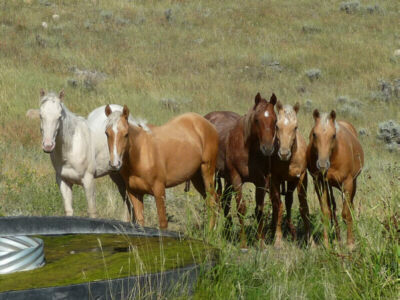 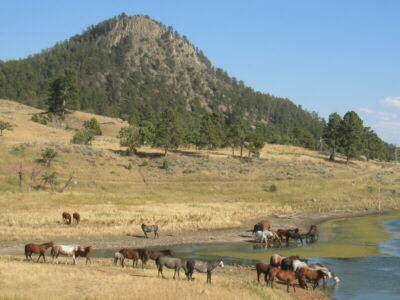 The brood mares of the Lake Ranch coming down to the lake for a drink and bath. 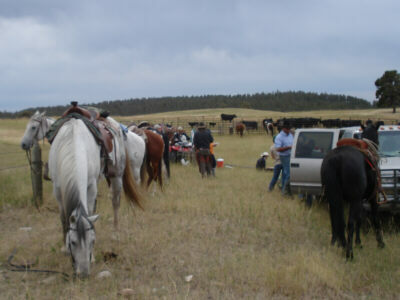 Branding day on the Lake Ranch. 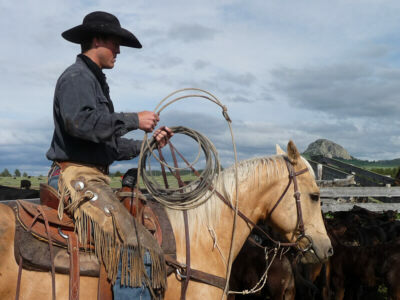 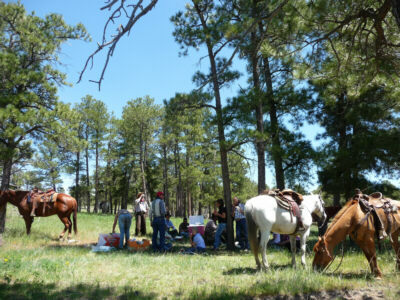 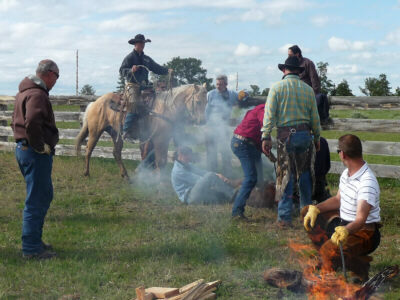 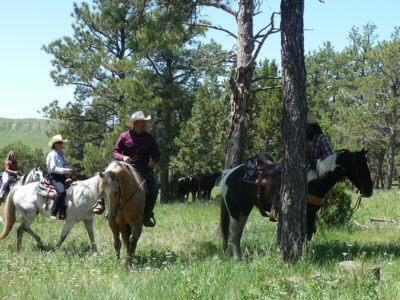 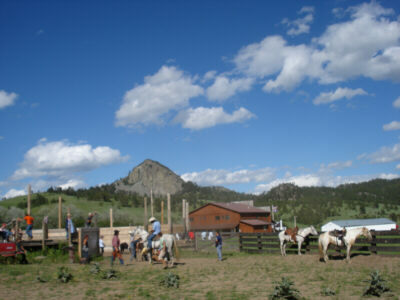 The crew, guests and cowboys, are getting their horses ready for the round up of the cattle. 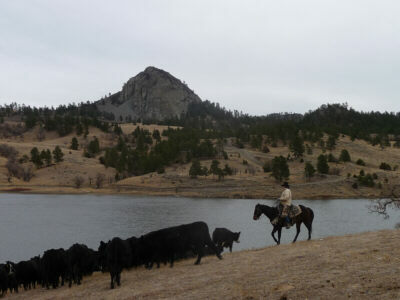 Branding on the Lake Ranch. 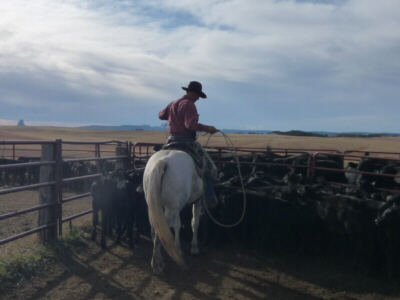 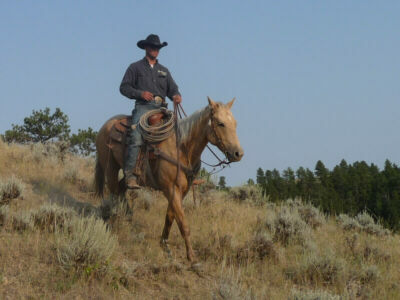 Rancher Luca with his gelding "Amigo" roping a calf. 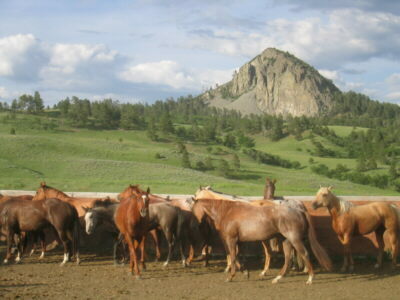 Landcape - you can not get enough of it! 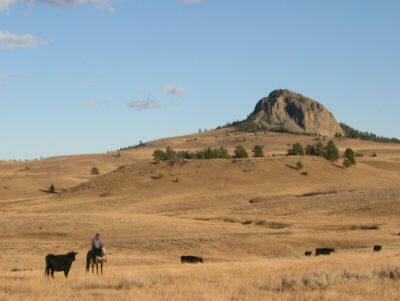 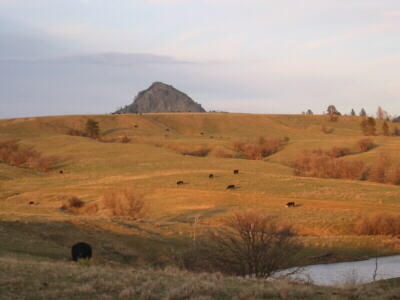 The mountain is the highest one of the four "Little Missouri Buttes".